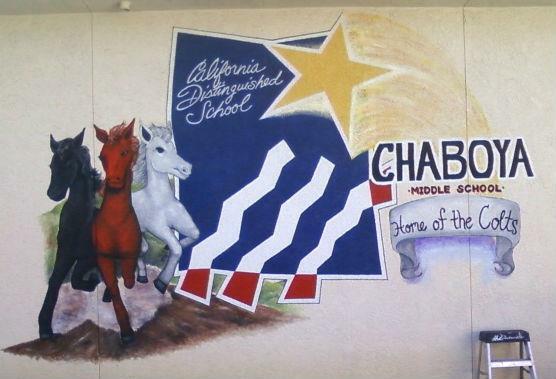 This amazing project is located at Chaboya Middle School in the Evergreen Elementary School District. This school had a desperate need of some direction. The school only had colored roofs distinguishing the pods, helping kids find their classrooms. It made the first week of school very difficult for new students relying on a map and sense of direction. 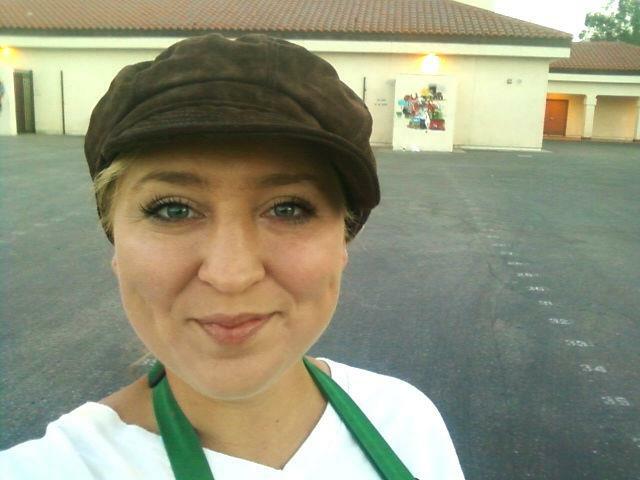 This was my first huge job and my first public school. The project was to label the buildings in a pretty way that can be seen at a distance. 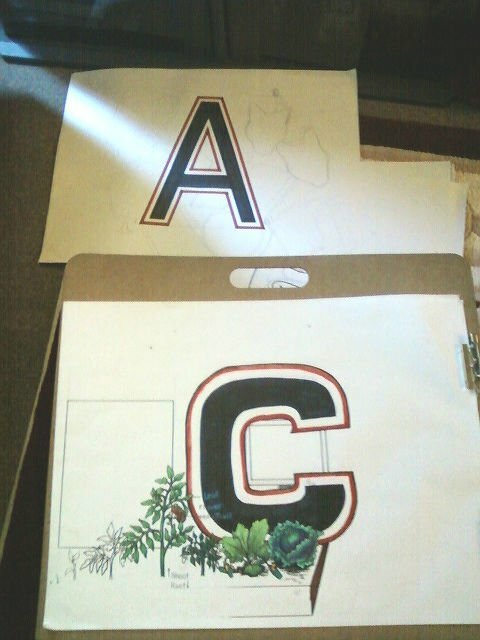 At first, I pitched the school all kinds of different themes and motifs for their large letters but the administration decided on a Letterman style, classic letter. 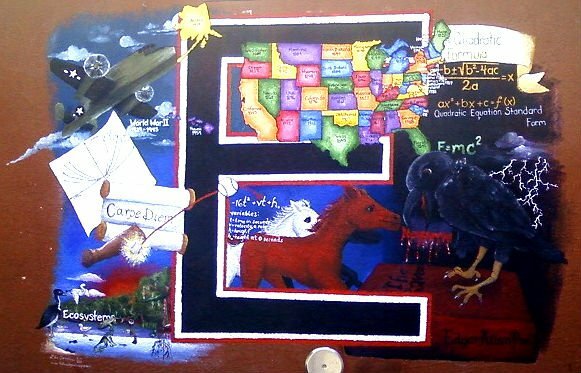 I decided to dress the letters up with a backdrop of academic symbols. These were well rounded in subject matter, but gave me the opportunity to personalize the symbol per the teachers in the building. This gave the staff members, especially the long time teachers, a sense of being heard and cared for. It’s their school, not mine. The response from teachers “That’s my symbol,” was overheard several times towards the end. I jumped around the campus, based on which buildings were in and out of summer class schedules. 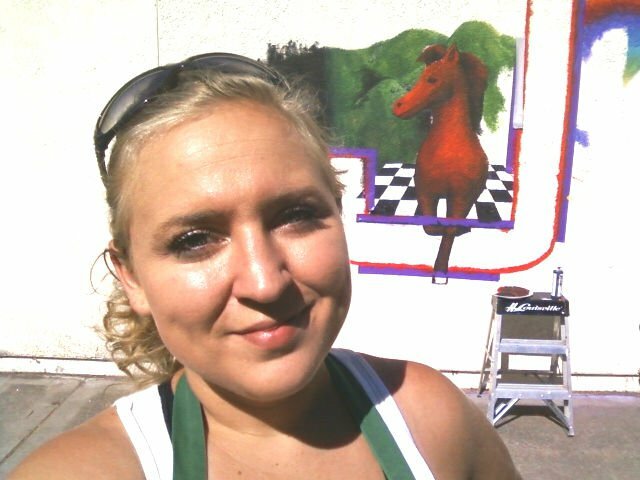 I started with the mural on the A pod, which hosts classes for struggling and disabled students for the most part. This building would have classes later but was an easy place to start while it was empty. It needed to be very concrete in nature. The symbols are very straight forward and balanced. I had a great idea of what this one looked like already because I had it meticulously planned out for negotiation meetings. I then jumped to the C building because I had the most information from the teachers in the C pod. I had the best idea of what this looked like based on their input. 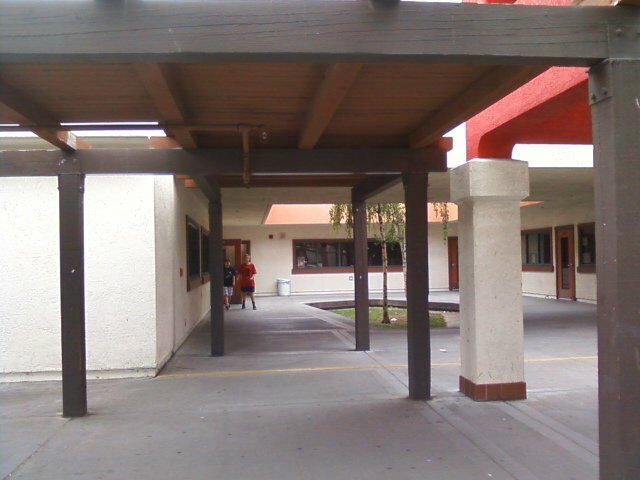 This building houses computer labs, gardening club, science classes, math classes and history. My favorite part of this piece is that I painted a Plant Cell, tracked rate of growth on a chart, drew the garden with growing veggies and handled slope. These things play through many subjects while explaining our they’re connected. And as always, when in doubt or with off putting space, add a Leonardo Da Vinci flying machine. I then painted the B pod. 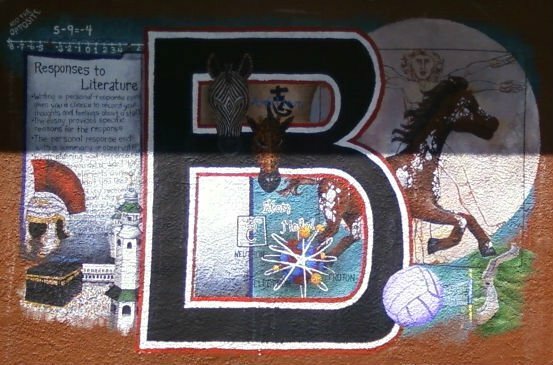 The B pod is host to lots of language arts and history classes. Of course math, physical education and science are incorporated but meagerly. Gladiator helmet, Great Wall, Mecca, Vitruvian Man and Tribal Masks make this a history corner. The next building was the D pod. This building has a good mix of classes. It also has a ESL class and all of this is incorporated into the subject matter. 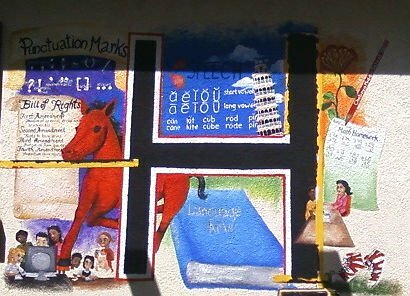 The three colts, in school colors, coming together in the center of the mural is supposed to symbolize the students coming together with a shared goal in mind. The Preamble to the Constitution is prominently featured. The Pythagorean theorem is featured, as is the Punnett Square. 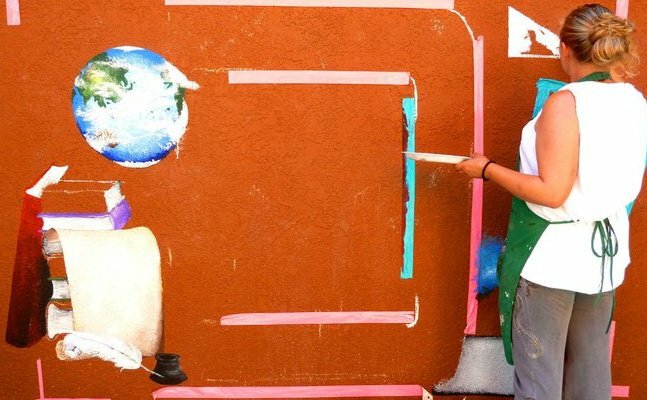 Mayan temple and Globe of Diverse Children round out this piece. It’s one of my favorites. 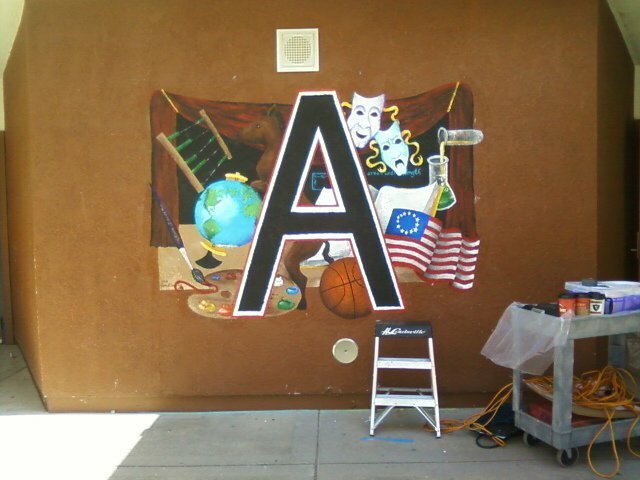 I painted the mural for the F Building next. 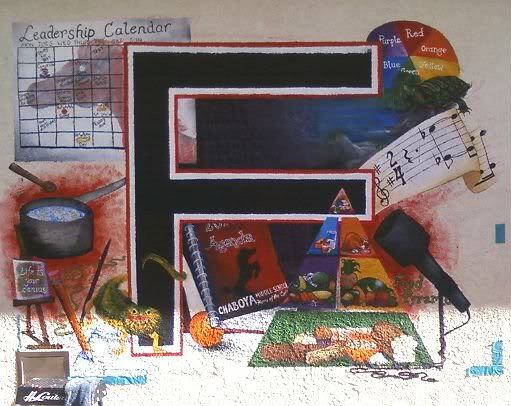 This holds a cluster of electives including cooking, leadership, art, animal folklore and life skills. This is clearly seen in the subject matter. I was assured that these would always be elective classrooms. Music is around the corner, but wouldn’t be able to be represented elsewhere, so I included it here. The next building was the E pod. This pod holds US History, Honors Math, literature, and math club. A large Raven represents the literature classes. WW II plane and US Map represent US History. Quadratic Equation, Parabolas and Physics Equation represents Math. 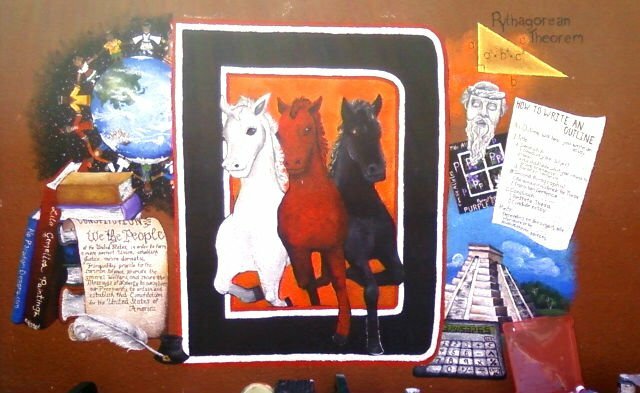 The Physics Equation and Ecosystem represent science while three horses run together through the background. 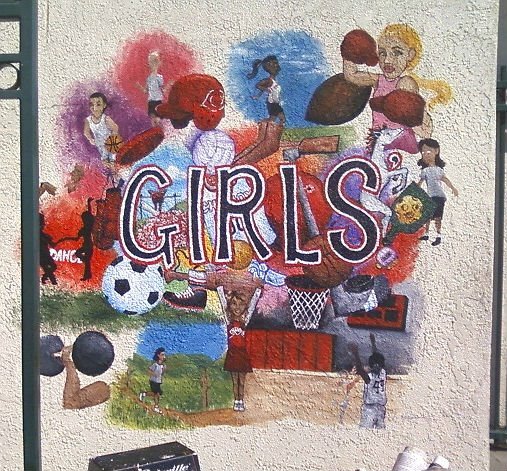 Baseball and bat are the symbol for PE in this mural. Then this was the closing of the scope of our original contract with the J pod. That having been said, there was a large change order, doubling the scope. 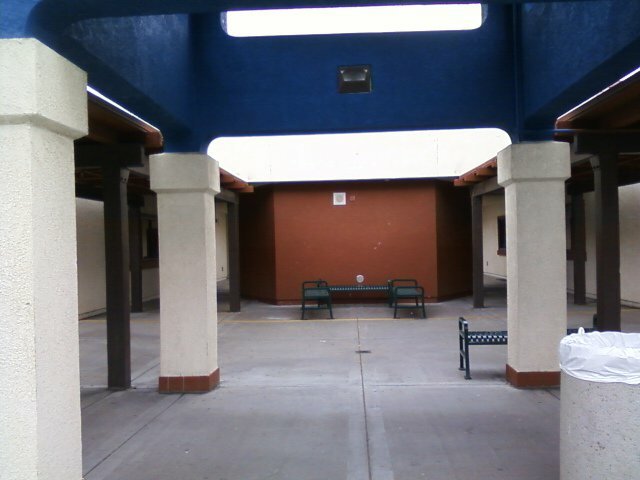 This was the last building with summer classes. The J pod has an assortment of subjects. A mathematic spiral represents a quilting math teacher. 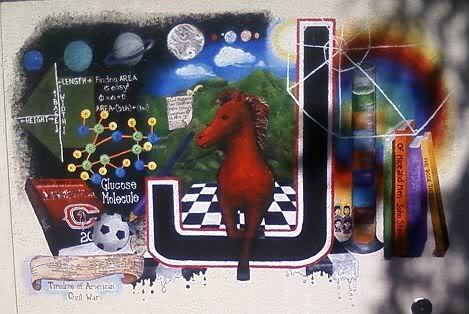 Glucose molecule and solar system represent sciences. A timeline of the Civil War represents a Civil War reenacting History teacher. 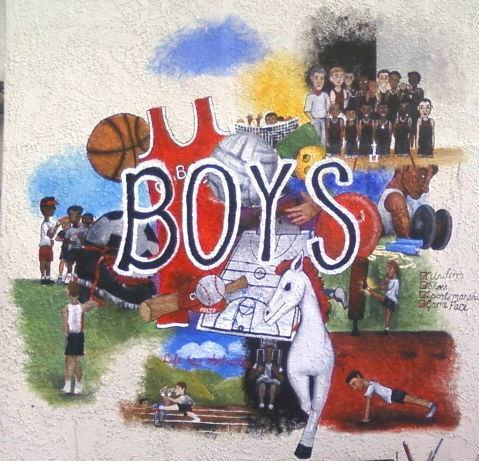 A yearbook represents Journalism and Yearbook classes. 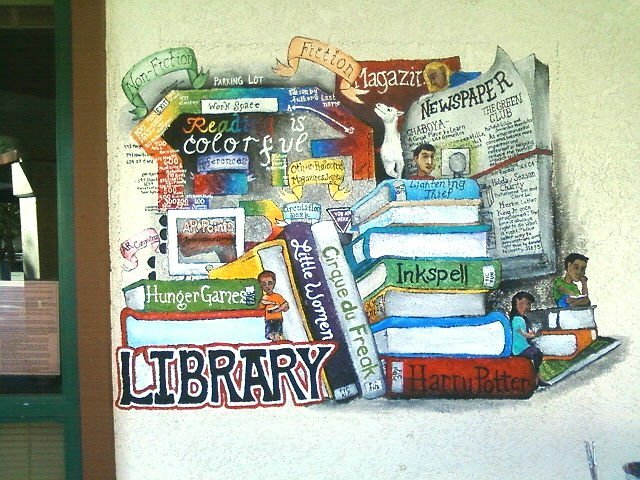 Books represent literature while a chessboard represents the Chess Club. The H pod and next mural is a cluster of conference rooms, for things like speech therapy, and specialty classrooms attached to the library. From there, I labeled every other building on campus. 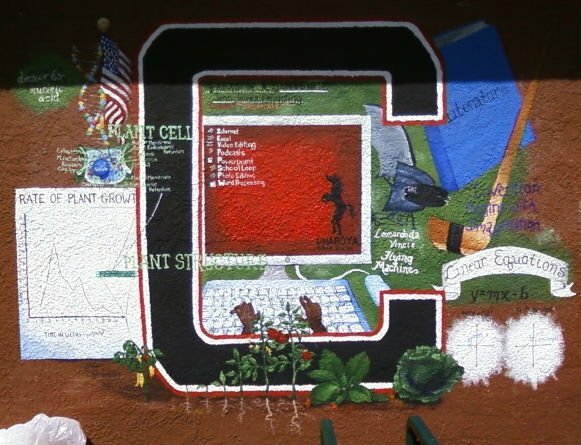 I painted labels for the PE building, both locker rooms, Library, Office, and updated the California Distinguished School logo. This was an incredible chance they took on me and I am so happy my first big client is happy. They’ve rehired me and called me first when their creative projects come about.